I knew before we went to Rome that I’d come back loving all the food, everyone I’d spoken to said they loved it and would definitely go back again, for the sights and the food. They definitely weren’t wrong. We ate a lot of pizza, and we didn’t tire of it, each place is different and has their different specialities. I’ve decided to do a (quite long) round up of our favourite spots, edible and non edible. We came back nearly exactly a month ago and I am sure by the time I’ve finished writing this I’ll be mentally planning our next visit. On pretty much every street you’ll find little Pizzeria’s selling slices of Roman style pizza – a very crisp base with a generous layer of topping. You choose the flavour you’d like, try to gesture in broken Italian how big you’d like your slice to be, they weigh it, heat it and wrap it up in paper (or put it on a tray) and hand it to you. 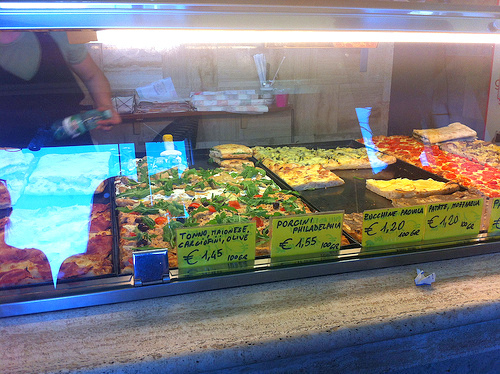 Perfect fast food – slices cost between €2-4 a slice, which makes for a brilliant value and filling lunch. I don’t know if we are exceptionally unobservant, or if the heat was getting to us, but we walked past this many times trying to find it – and gave up in the end and went somewhere else. I looked it up when we got back to our flat and realised we’d be staring it in the face all along – some ivy had grown over the sign! 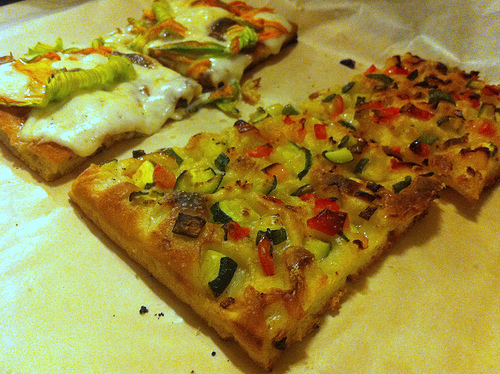 My pizza was the ‘fiori di zucca’ anchovy with courgette flowers, delicious and so fresh. Mr opted for a mixed vegetable pizza with courgette, pepper. We ate on lent against the little bar running along the side of the bakery, watching more pizzas being made opposite us. A very generous truffle pizza for the Mr and a proscuitto slice for me set us back €6, this was really close to our tram stop, they had so many toppings and also some stuffed pizza, we had a hard time choosing. I think Mr won with his truffle pizza choice, we ate on the move as we headed for sightseeing at the Colosseum. Famous for the pizza bianca, you must try this before anything else. Simply a base sprinkled with olive oil and sea salt, it was beautiful! The base was sourdough like in taste, fluffy inside and salty and crisp on top. 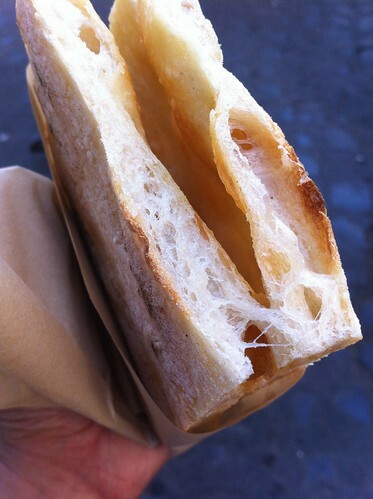 We didn’t try anything else (mainly because we’d just eaten gelato), but they sell a range of breads too. They close at 2.30 and open again at 5.00 so don’t get caught out if you are planning a visit. I don’t remember the name of this place, we visited on the off chance as it was directly under our apartment building, and we were rewarded with excellent pizza. Surprisingly they had a wood fired oven which was nice for a little local place, I had a pizza rosso (tomato sauce) and Mr one topped with thinly sliced chargrilled aubergine. If you fancy a trip out of the main area (about 10 mins on the tram plus 5 min walk) this place is great. If we weren’t eating pizza we were eating gelato (or drinking gallons of water because of the 34 degree heat). 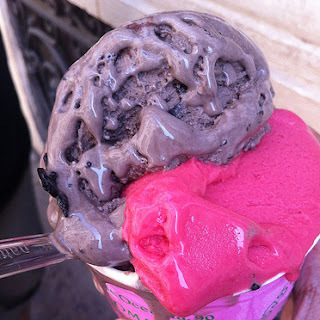 I had the gelato places I wanted to visit very clearly set out in my mind – San Crispino and Giolitti, and we also took a trip to Blue Ice, one of the very few chains you’ll see in Rome. Each place normally has different sized tubs and you choose as many flavours as will fit into a tub, a small tub for 2 flavour is between €3-4. A smart little gelateria a couple of streets away from the Trevi Fountain, there is a tiny little sign leading you in, a chalkboard menu and a neat counter with gelato hidden under metal lids. I’d heard a lot about the flavours with meringue so I jumped straight for the hazelnut meringue flavour, and also had a scoop of the honey flavour. Mr had the caramel meringue and a fantastic pistachio one. 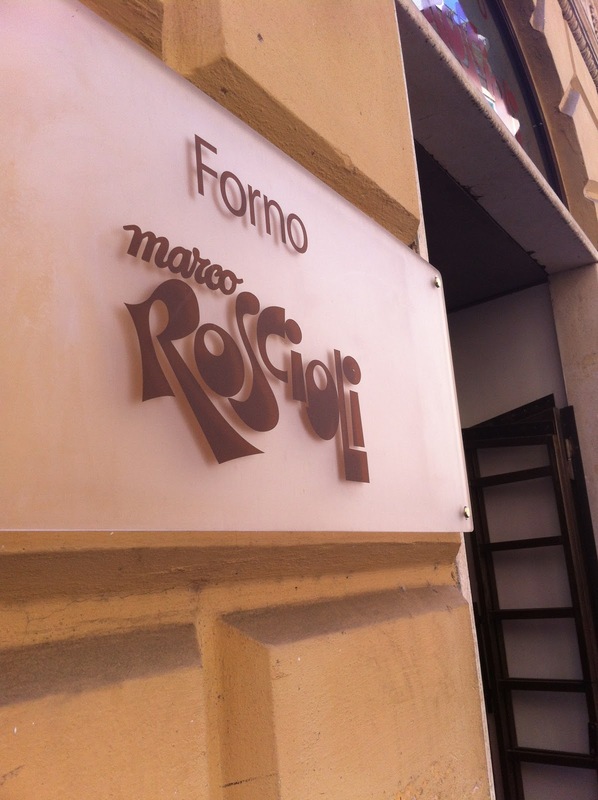 Our landlady at the flat enthusiastically told us that Michelle Obama had visited Giolitti recently, and so we must go! Giolitti is very popular, because of the latter and also because of the sheer number of flavours they have – a sight to behold. 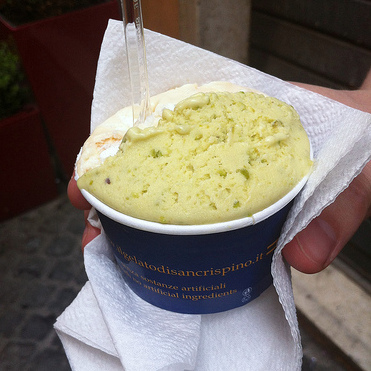 It is the oldest gelateria in Rome, and they also have a shop near the Pantheon. I had raspberry and also oreo (very Roman!) flavour, they weren’t as good as San Crispino but it was an experience going there. As you can see it was boiling hot the day we went, the ice cream melted rapidly as we ate outside the shop. Best cappuccino I’ve ever had, hands down. Slightly rude and hurried service (you will find this in Rome, you get used to it after a couple of days!) and you have to pay €1 more per cup to sit outside, but you do get to enjoy the Piazza and watch people (and scooters of course) go by. You can also buy their coffee beans to take home. 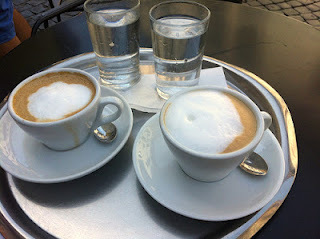 David Lebovitz’ blog post made this cafe go top on my list of places to go. I had an espresso here, very very strong but good, they have a range of different blends which you can ask for when you order – and you can take the beans home – which we did. They operate the very common system in Rome (and maybe Italy?) where you buy a ticket for what you’d like at one till, and then bring it over to the bar and they’ll make your drink. 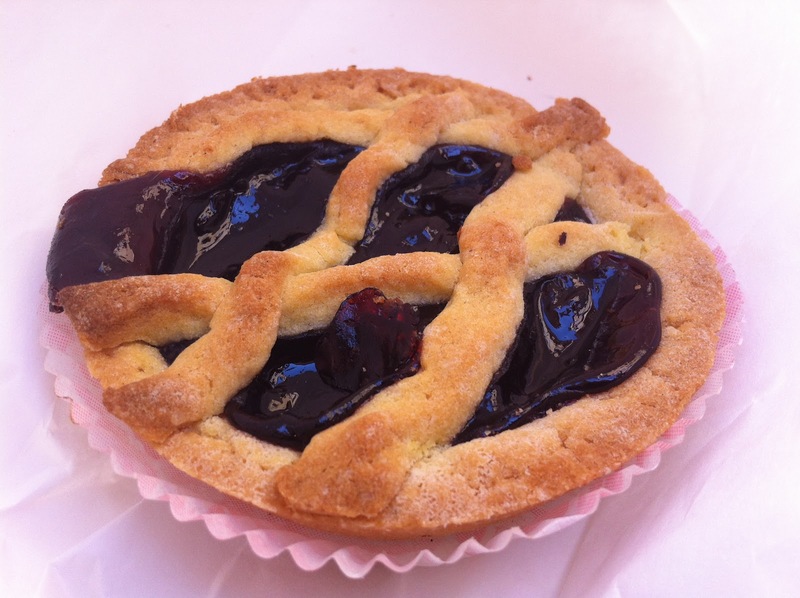 The oldest bakery in Rome, this should maybe be under the pizza section but we also had a gorgeous cherry tart. 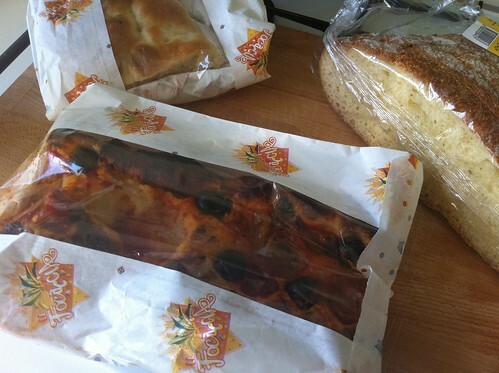 An amazing bakery with so much choice of pizza, sweets, breads, pasta and little deli goods. 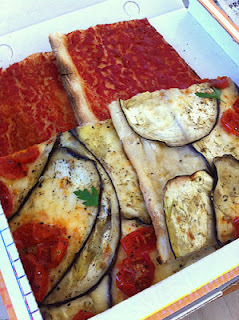 I also had a pizza rosso which was brilliant, I’d love to create a tomato sauce like that. We came here for aperitivo on our last night in Rome. 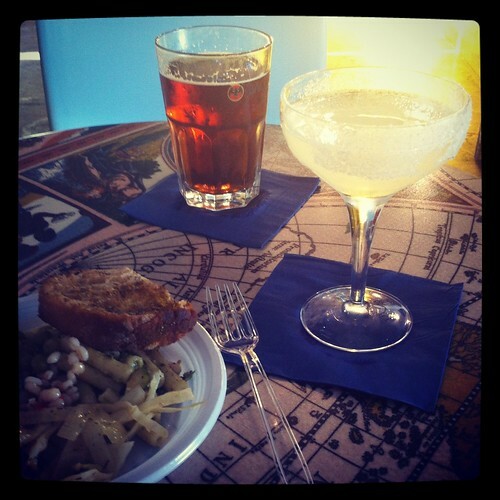 Aperitivo is a brilliant idea! Between about 6pm to 8pm you can visit a bar, buy a drink and have access to either a buffet or a small menu of snacky foods to have. The drinks are more expensive than normal because of the food, about €8. At Freni e Frizoni (means Brakes and Friction, it used to be a garage) they have a gorgeous middle eastern inspired buffet – cous cous, crunchy salads, tabbouleh, fresh cumin spiced bread, herby vegetables and homemade sauces. After a week of pizza and gelato this was a perfect end to our holiday, great cocktails too. Arrive early as it gets very busy, if you’d like to sit outside overlooking the Piazza you need to call up and book a table. Our landlady heartily recommended this restaurant, everything was great – amazing truffle pasta, lasagne, tiramisu and mille feuille, and really friendly staff. Not too expensive either, around €40 for two glasses of wine, two mains, two puds and water. Popular with locals. I had a pretty terribly salty carbonara, but Mr had an amazing ‘Rigatoni Alla Norma’ which was chargrilled aubergine and courgette and smoked garlic tomato sauce. Excellent puds too, tiramisu and hot chocolate pudding. I’m no travel blogger but here are some places (along with the usual sights) that I’d recommend. Ostia Antica – about a 30 minute train journey outside Rome, an amazingly well preserved Roman port town which is just fascinating, takes a whole day to walk around. 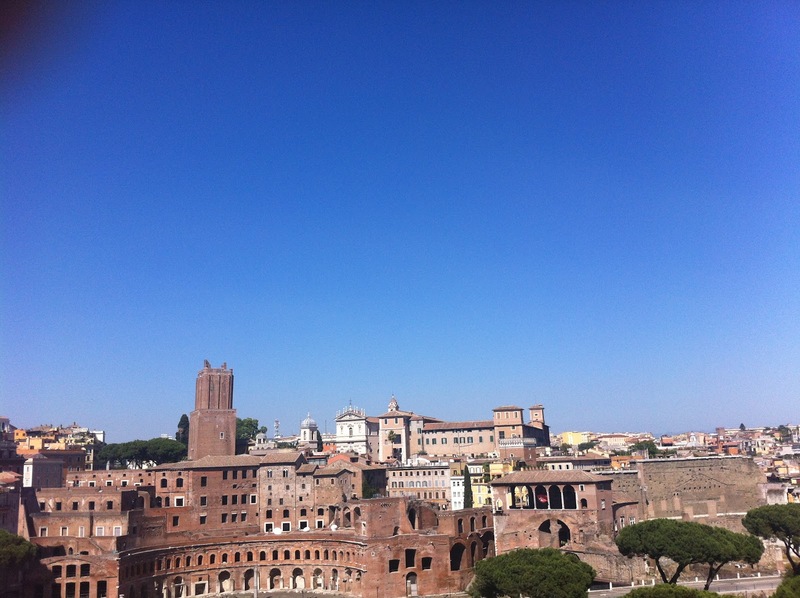 Trastevere – In general! 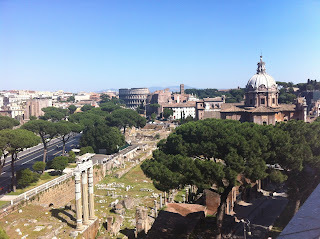 A lovely part of Rome to wander around, we didn’t stay too far away so we visited regularly. Santa Maria in Trastevere church is beautiful too. Torre Argentina Cat Sanctuary – A cat sanctuary in Roman ruins! There aren’t many (or any other?) cat rescue centres in Rome and this place is run by a formidable and kind Italian lady with the help of lots of volunteers. Healthy cats are free to roam the ruins and injured and unwell cats are looked after inside. Visit, stroke the cats and buy a gift or donate to the shelter – you can also sponsor a cat. 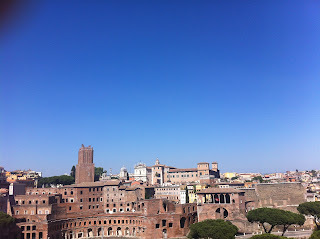 So there you are, hope those of you lucky enough to be reading this and heading off to Rome soon find it helpful. I can’t wait to go back some day.